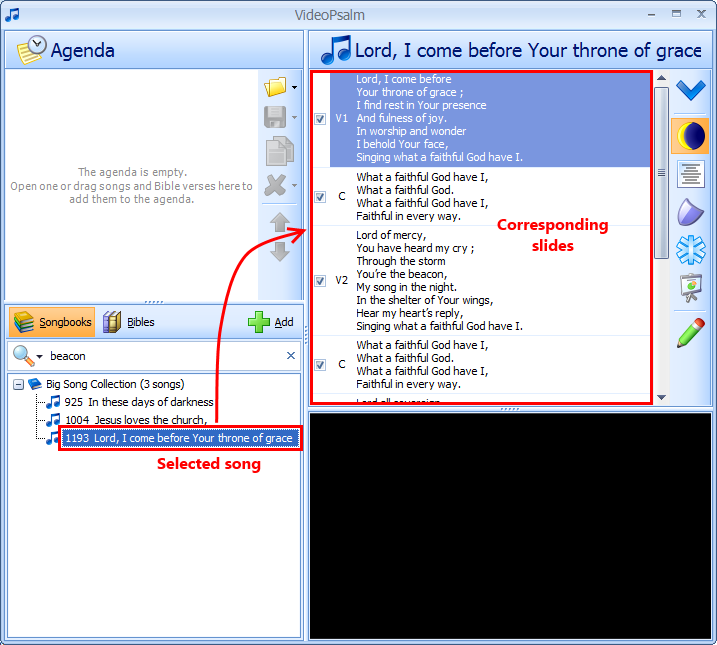 Now that you have songbooks and Bibles in your VideoPsalm, you are ready to start presenting song lyrics and Bible verses to your assistance. The more keywords you type, the less songs you will find. Once you found your song, click on the “Add” button to add the song to the agenda. The agenda consist of a list of songs, Bibles verses and media elements that you will want to display during the church service. Actually you can display a song to the assistance without having it in the agenda. This is useful when there is some unplanned change in the schedule. VideoPsalm will then display the slide in its preview area. On a single screen configuration, the presentation will cover your whole screen. 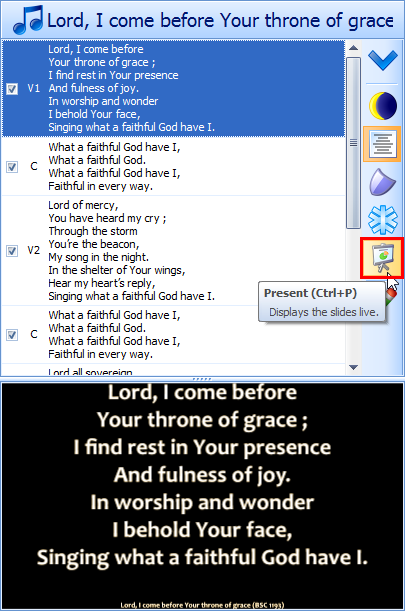 In this case, to advance into the presentation, use the keyboard direction keys (Up or Down). VideoPsalm is compatible with the PowerPoint shortcut keys. If VideoPsalm detects a second screen, it will display the presentation there. Usually, your second screen is a video-projector. VideoPsalm auto-completes the book names, so that you only need to type a few letters (two or three at the most). 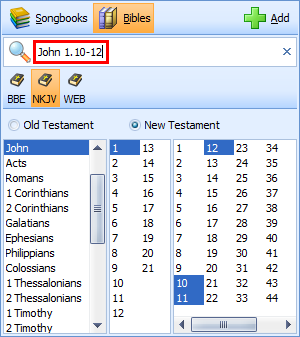 If you prefer, you can select Bibles verses with the mouse by clicking on the elements in the book, chapter and verse panels. 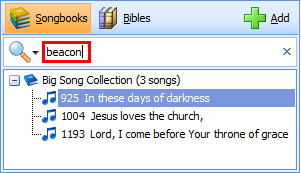 To add the verse selection to your agenda, click the “Add” button.